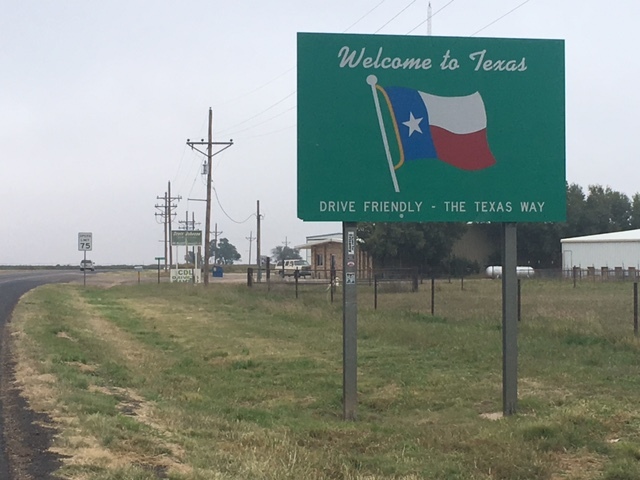 After college I served as a VISTA Volunteer in the South Plains of Texas, an area most people would call West Texas, but locals insist is different. The South Plains are broad and flat: I did not cross a single river today. The area was mostly uninhabited until the 1920’s, when we figured out how to tap the Ogallala Aquifer and grow cotton, soybeans, watermelon, and sunflowers. By the 1970’s early settlers had become the areas first generation of senior citizens; I worked at South Plains Community Action Association to establish senior programs: meals on wheels, medical transport, and home repair. I traveled about 2,000 miles a month across thirteen rural counties to help elderly folks get new roofs, insulation, and indoor plumbing. It was gratifying work. Today I cycled through a swath of that territory, from Muleshoe through Littlefield to Levelland, under a grey dome that didn’t turn sunny until mid afternoon. I look for buffet lunches on long travel days; the Dinner Bell’s Friday catfish buffet hit the spot. 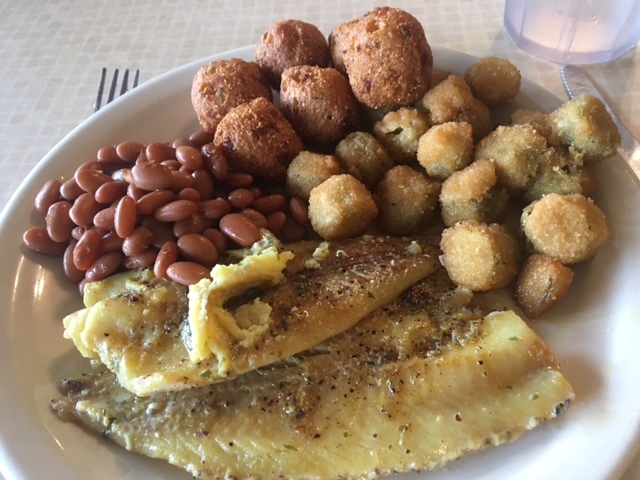 Fried okra, fried fish, fried popcorn shrimp… do you spot a trend? Seems I was the only patron who ate the sautéed fish. Then again, I was the only one lacking a big belly and a bigger hat. 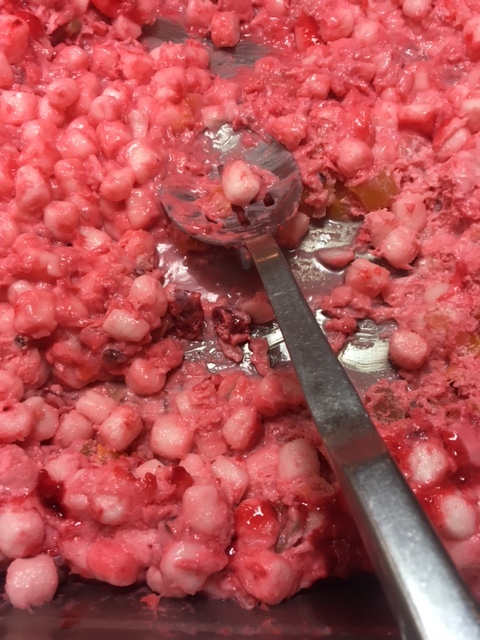 One thing I did not eat was the pink gelatin. My year of senior citizen lunches forever ruined my appetite for any dish with marshmallows or suspended in Jell-O. 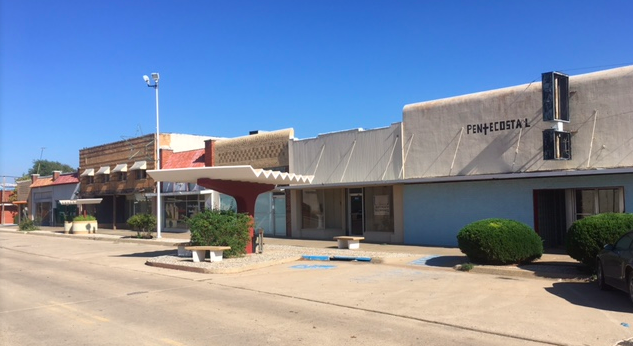 The irony of riding down Littlefield’s near abandoned downtown is that the largest occupied building is the senior center, as it is in so many small towns. In less than forty years a group that was an emerging demographic has become the dominant one. So far, The South Plains has weathered rural decline better than most areas of the Great Plains, Muleshoe, Littlefield and Levelland all have just about the same number of residents today as they did when I lived here. Commerce has simply shifted from downtown to the highway. In another forty years, who knows how many will remain.